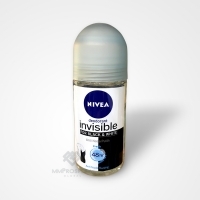 Browse body-deodorants suppliers by country and region. Body deodorants, foot deodorants, lice reppelent lotions and shampoos, body milks. Non alcoholic, non aerosol, antibacterial , long lasting and non flammable body deodorant , hand sanitiser and mass deodorant. Short on time? Let body-deodorants sellers contact you. Korean cosmetics, long lasting korean cosmetics, skin care products, water resistant korean cosmetics, beauty products, computer parts, korean computer parts. Stay fresh during the day and go wild at night with our wide range of deodorants and antiperspirants..
Incense stick, body mist, roll on. Perfume, body mist, hand sanitizer. Toothpaste, deodorant, soap, chocolate, coffee.